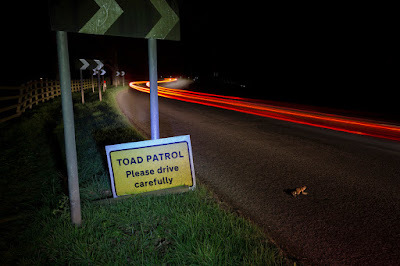 For the last few weeks I've been working with truly great bunch of people who relocate toads that are making their way to their spawning pond via a busy main road. 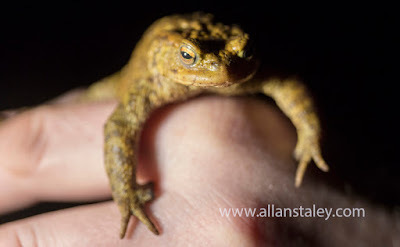 The toads are collected on one side of the road in buckets and relocated to the other side and safe spawning in the pond. Its simple satisfying and it works. I've learnt to love toads and frogs and newts they are all full of character and so far we have moved 7700 toads 1050 frogs and 200 newts. Photographing these little guys was more of a challenge than I thought. On the first night of toading I noticed how the shape of the toads was silhouetted on the side of the bucket and I wanted to use this in a shot. On the first night I ballsed it up completely it was already too dark I'd brought the wrong tripod plate the torch I had was too bright and the floor around our feet was full of randy toads. Back with a plan this time, get there early find some toads, set the shot up while it was still light and wait for late dusk. 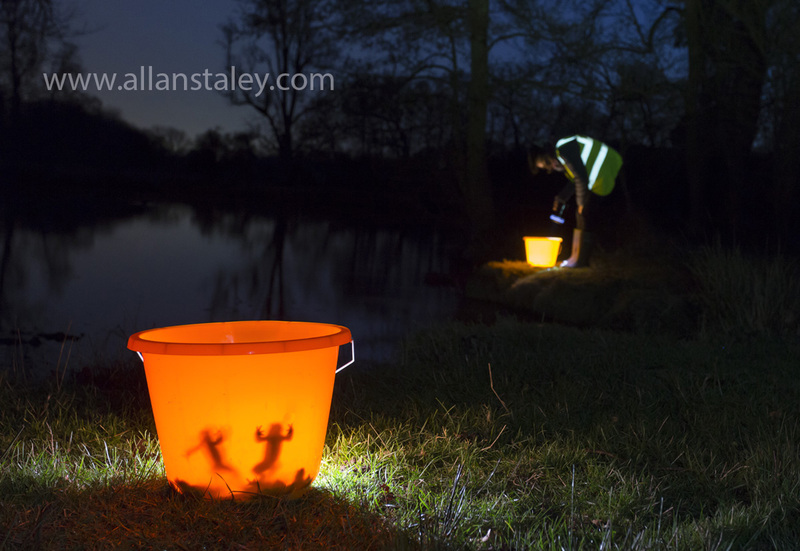 So now with enough light to pick up the pond a volunteer to give the shot some depth and using the Rotolight Neo placed behind the bucket I could balance the Rotolight to match the background torch for a perfect exposure. Now of course the toads were all sitting happy on the bucket floor but a little gentle persuasion got them active again and soon the shot was nailed. This story of course means little without the road and the danger the toads are in from crossing it. Using one of the toad patrol signs (slightly lit with the Rotolight Neo) a long exposure and a slightly nervous toad the final shot tells the whole story.